The Vapur Reflex is a portable, reusable water bottle. When filled with water it is able to stand upright. When empty you can roll it or fold it up and tuck it away for later use. Quit carrying those water bottles around that you use once and throw away! 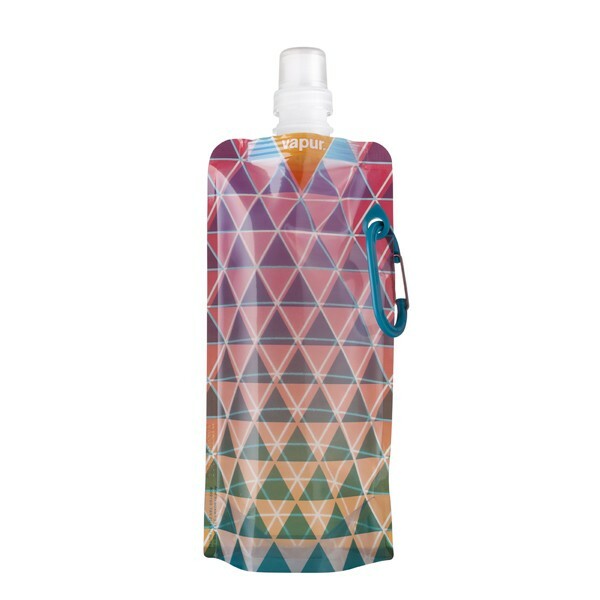 With this water bottle you can fill it at home, when you are finished flatten it out and carry it back home with ease. We do quite a bit of running with homeschooling and taking one son to college classes. I have the kids bring their own water bottles so I don't hear, I am thirsty in the car or at the park. 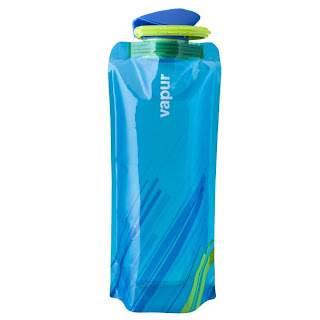 The Vapur water bottles are perfect when we have several people carrying water bottles. No need to bring a separate back pack just to hold water bottles!! I love how it has a clip on it so you can hook it on your belt, backpack, or bike, making it hands free even for travel! Manufactured in the United States! Vapur is one of the world's leading designers of reusable, flexible, hand held hydration systems. They have beautiful artistic designed bottles if you are looking for some bling while you drink. The Vapur Runway is a nice anti-bottle with a fashion flare. The Vapur Element has a supercap on it and holds 1 liter of water. 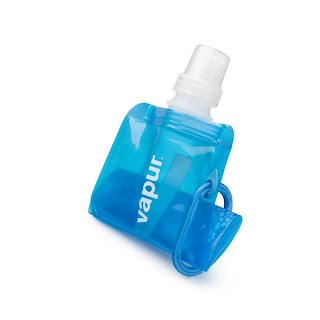 Whatever your style needs, Vapur has a bottle that will fit it. Fantastic green product for the Green your Back to School!! They are offering my readers a chance to win a Reflex Vapur Bottle in the Back to School Giveaway!! I received a product from Vapur in exchange for an honest review. Looks really useful. I haven't seen anything like this before. Wondering how the plastics (or other materials) compare with other products. Love anything that keeps plastics out of landfills. I wonder if these can be used as food pouches for the little ones?